Eleonora Minelli - who works as a PhD student in the group of Professor De Spirito - takes up the story of how this work has been extended. “The acquisition of elasticity maps of surgically removed tissues is plagued by the problem of roughness that is often larger than the available range of the piezoelectric actuator. This meant we have had to develop a novel procedure that allowed us to acquire elasticity maps of an unparalleled size (up to 100 μm x 100 μm). We achieved this result thanks to the use of the JPK CellHesion® module that can be easily integrated to our NanoWizard®. This has a z-piezoelectric actuator with a range of 100 μm. 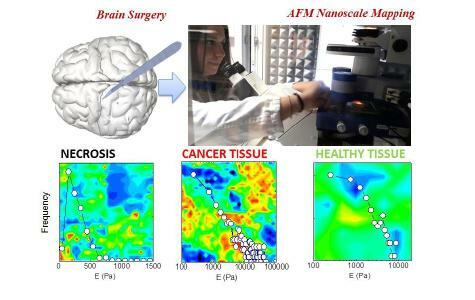 These results open up many applications in nanomedicine and have the potential to boost the use of AFM in clinical practice. 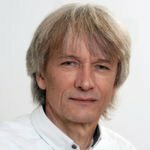 AFM, together with confocal microscopy and electron microscopy, are key tools in this research area because it allows us to probe mechanical and topographical properties of molecules, cells and tissues in nearly all environments." 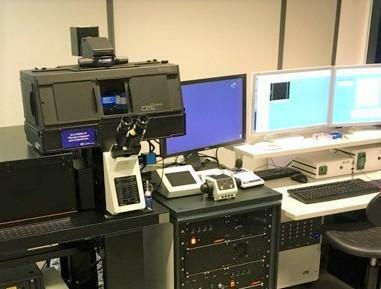 Dr Ciasca, Professor Papi and their colleagues have a lot of experience using different makes of AFM. 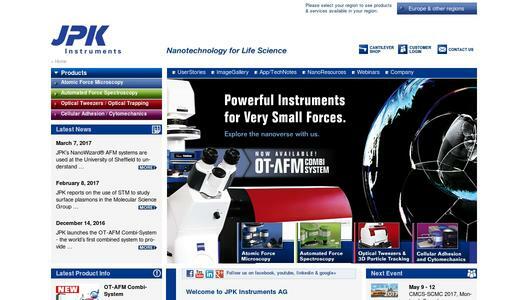 "The members of our group have been working with many general-purpose AFM set-ups. 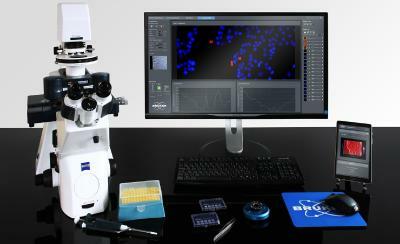 Now, we are deeply convinced that the JPK NanoWizard® offers one of the best suited experimental set-ups for the investigation of biological systems. There are a number of reasons for this. The instrument has an easy, accurate and effective cantilever calibration procedure. We believe this is a key advantage of this platform as it ensures reproducibility and reliability of results. This is particularly important when dealing with the nanoscale mechanical properties of cells and tissues that are intrinsically subjected to a large biological variability. The geometry of the scanning head is a unique characteristic of the JPK NanoWizard®. It opens the possibility to investigate cells and tissues directly within conventional petri dishes in a liquid environment. This key characteristic allowed us to investigate the mechanical and structural properties of living cells in their own environment without the need of fixation procedures that deeply alter mechanical and morphological properties. Most importantly, the NanoWizard® in our laboratory offers effective integration with a conventional inverted fluorescence microscopy which allows us to combine fluorescence and optical images with elasticity maps." The Group publishes extensively. Some of their most recent key publications include: Nano-mechanical signature of brain tumours (Nanoscale 8 (47), 19629-19643) by G Ciasca et al. Mapping viscoelastic properties of healthy and pathological red blood cells at the nanoscale level (Nanoscale, 2015,7, 17030-17037 DOI: 10.1039/C5NR03145A) by G Ciasca et al. Mechanical and structural comparison between primary tumor and lymph node metastasis cells in colorectal cancer (Soft Matter, 2015,11, 5719-5726 DOI: 10.1039/C5SM01089F) by Dr V Palmieri et al.